Stressing that, in this new world, data is the new wealth, Ambani said, "India's data must be controlled and owned by Indian people and not by corporates, especially global corporations." 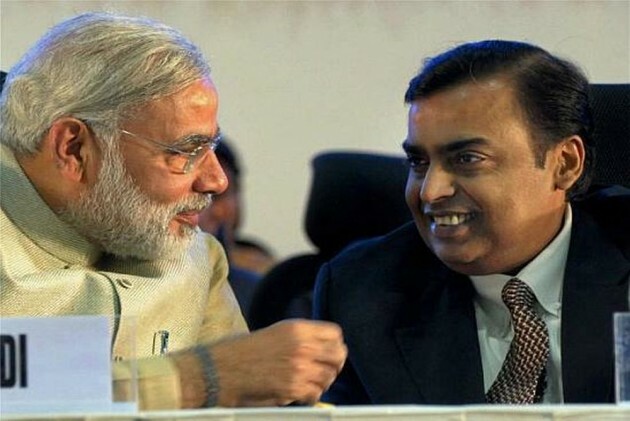 Asserting that Indian data must be owned by Indian, Reliance Industries Chairman and Managing Director Mukesh Ambani Friday urged Prime Minister Narendra Modi to take steps against 'data colonisation'. Invoking Mahatma Gandhi's movement against political colonisation, Ambani said India now needs a new movement against data colonisation. "Gandhiji led India's movement against political colonisation. Today, we have to collectively launch a new movement against data colonisation," he said Gandhinagar at the Vibrant Gujarat Global Summit. He further said, "For India to succeed in this data driven revolution, we will have to migrate the control and ownership of Indian data back to India. In other words, give Indian wealth back to every Indian." Stating that the "entire world has come to recognise" Modi "as a man of action", Ambani said, "Honorable Prime Minister, am sure you will make this one of the principal goals of your digital India mission."